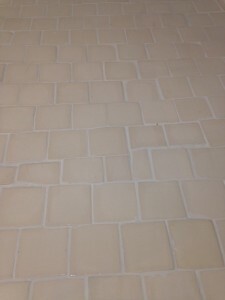 I am so excited, I have one patch of tiles grouted and I am loving the cream color with the white grout. 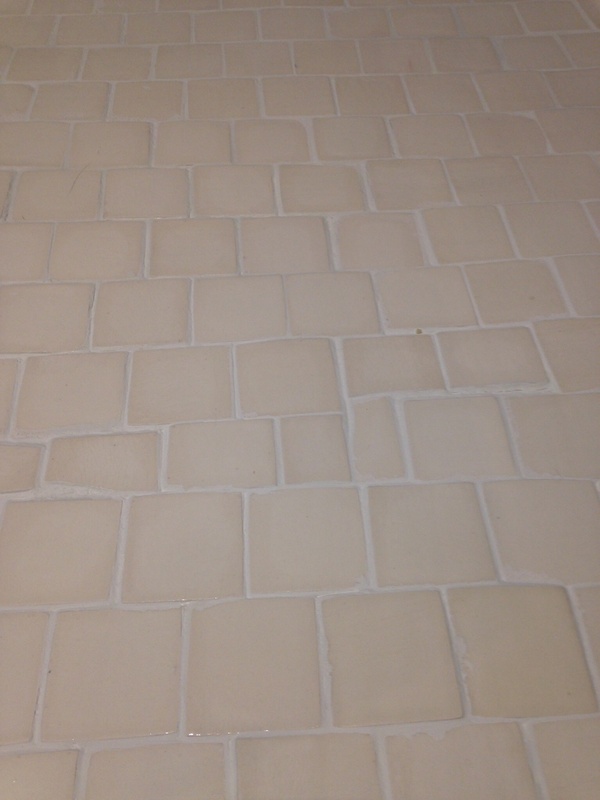 These tiles are under all the appliances and around the boarder of the room. the mosaic swirl leaves will get laid down next.